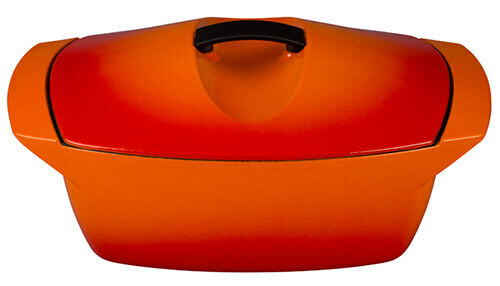 Le Creuset Raymond Loewy 1958 Coquelle dutch oven - reissued! We’re already groupies of famed industrial designer Raymond Loewy, so how wonderful that Le Creuset is offering a limited edition reissue of the Coquelle — the cast iron dutch oven that he designed for the company in 1958. 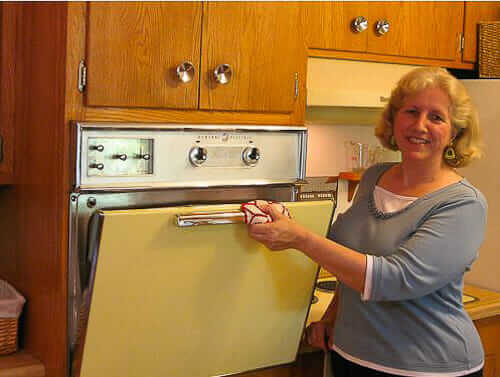 Mega thanks to reader Saundra for the tip! Loewy was the most influential industrial designer of the post-war era — designing products ranging from home goods like furniture and kitchenwares, packaging and logo design, industrial designs for trains, cars and other transportation. See his career highlights — and lookie that client list! — here. 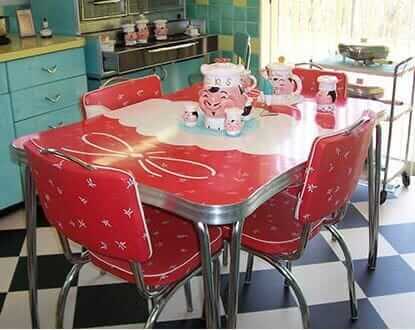 Of particular interest here in Retro Renovationland, in 1954 Loewy redesigned colorways for the groundbreaking Formica Skylark boomerang pattern, originally conceived by Brooks Stevens four years earlier. 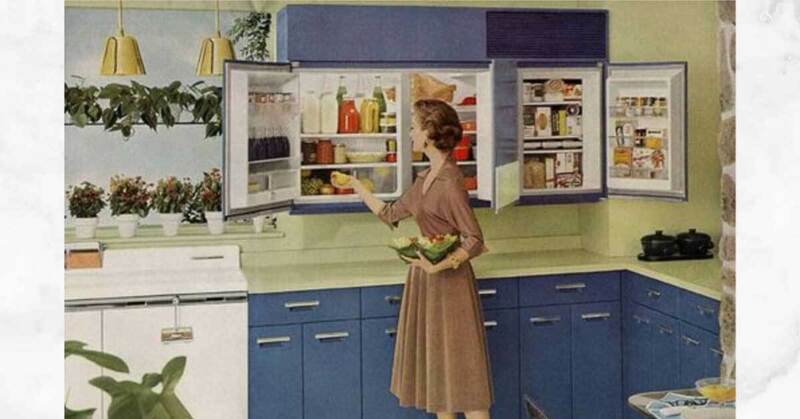 Loewy also worked with architect Stanley Klein and Andrew Geller through his firm Raymond Loewy Associates to help design the American Brand steel kitchen — a longtime favorite on the blog for its easily recognizable curves. 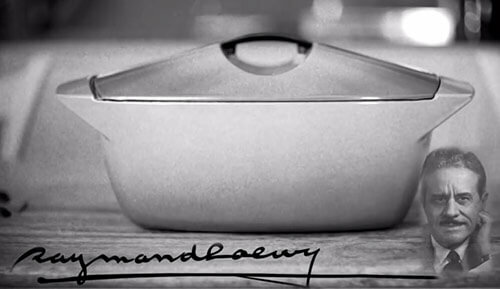 In 1958, acclaimed industrial designer Raymond Loewy created a new and unique shape to add to the world-renowned range of Le Creuset cast iron cookware. 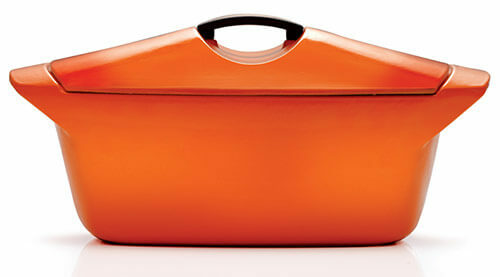 Internationally famous for his designs for some of the most well-known consumer brands, Loewy created a striking, evocative design called the Le Creuset Coquelle. 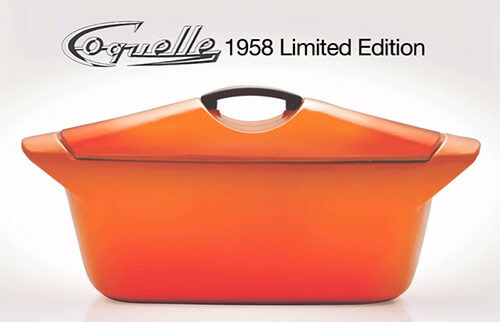 To celebrate this iconic design, Le Creuset is introducing the Coquelle to a new generation with a limited release. In addition to being a symbol of mid-century design, the Coquelle delivers the same outstanding cooking performance as every other piece of Le Creuset cast iron, ensuring that everything you stew, braise, simmer or bake will taste delicious. 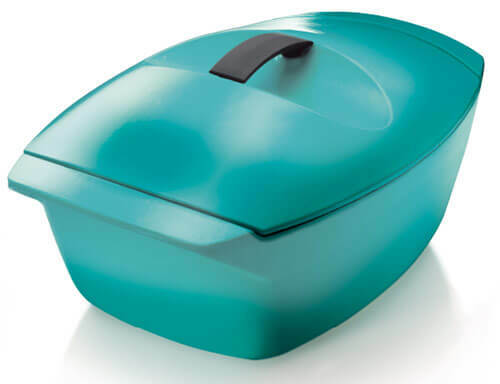 We always love to see companies launch a vintage reissue, and this Coquelle from Le Creuset is no exception. 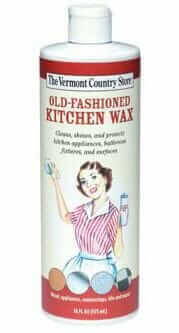 Authentic Le Creuset from the 50’s till the 90’s available.